Popular, Ref 1500 was produced late into the 1970s. 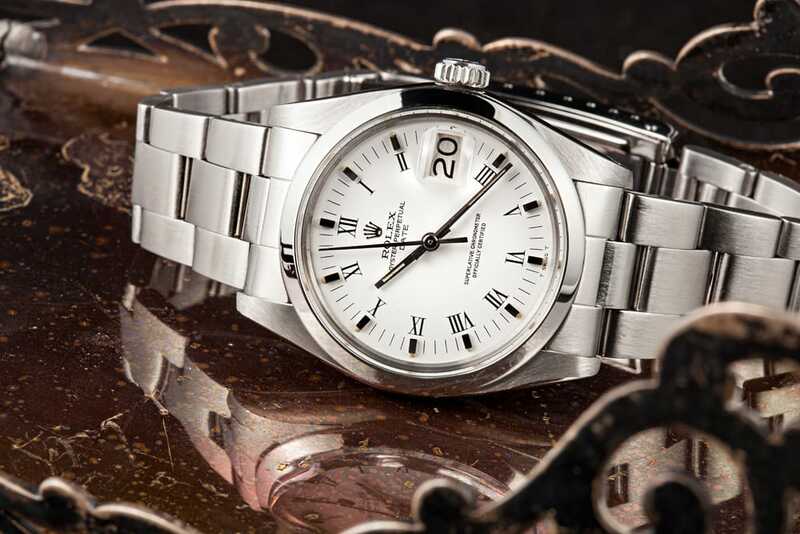 The model is available in Rolex’s popular stainless steel as well as 14k and 18k white and yellow gold. 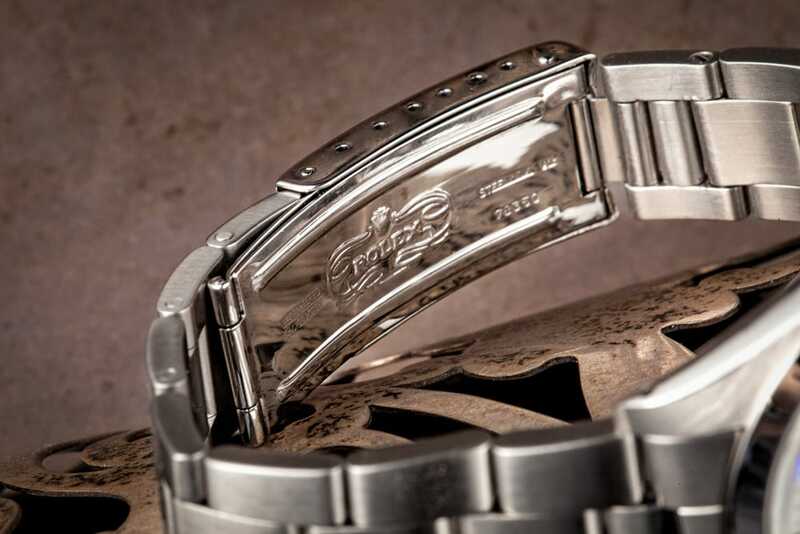 The 34 mm, tonneau shaped, waterproof Oyster case features Rolex’s Twinlock crown and screw back. The watch’s dial is available in brushed silver as well as a matte black or white dial. The black dial is rare among early production Ref 1500s. Each dial has applied baton hour markers with luminous accents. 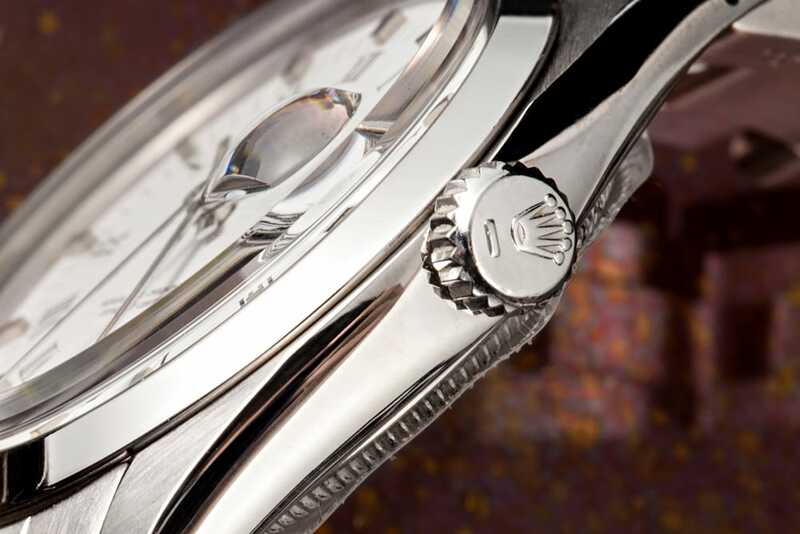 The dial also features luminous hands with sweeping centre seconds. A plastic crystal adorns the case, with a magnified lens over the date function. The watch is topped with an engine turned bezel. Each case and movement are sign and Superlative Chronometer Officially Certified. 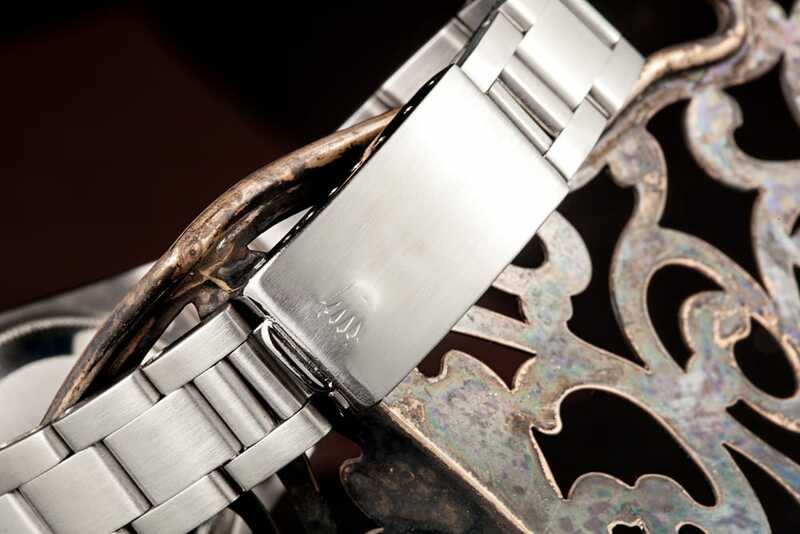 Each watch is fitted with a Rolex Oyster bracelet in a material matching the case. Collectors particularly favor the model 7250 riveted bracelet, as it offers polished side pieces which conceal the bracelet’s riveted edges. 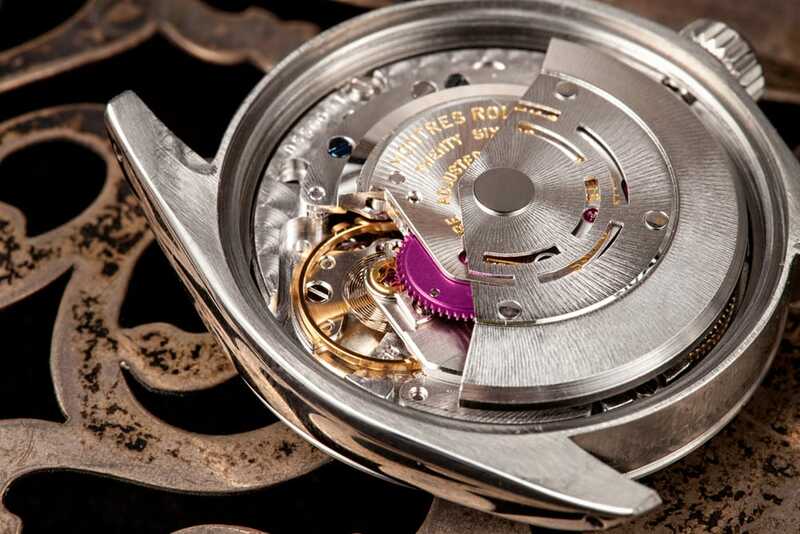 Inside, Ref 1500 utilizes the calibre 1570, 26 jewels, straight line lever escape movement. The movement features a monometallic balance, which adjusts to temperatures, and a self compensating free sprung Breguet balance spring. 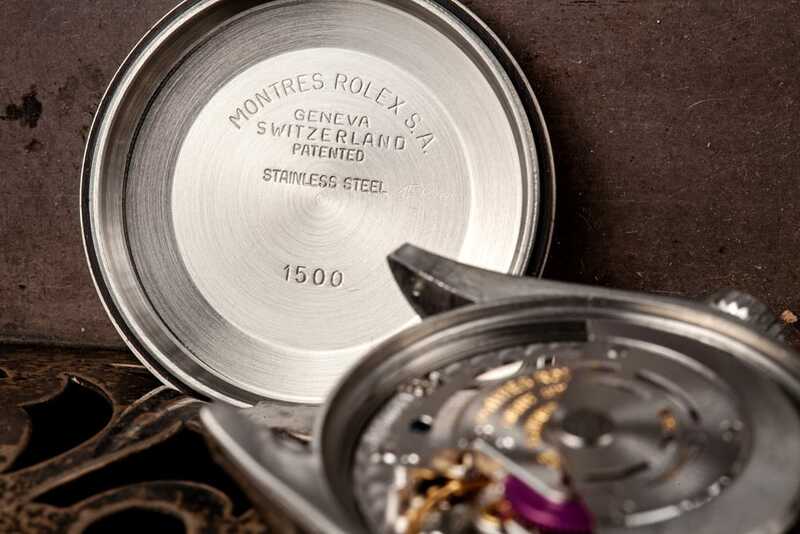 The date feature is one of Rolex’s most popular function additions. Located by the 3 o’clock mark, the date function automatically advances to the next date when the watch strikes midnight. 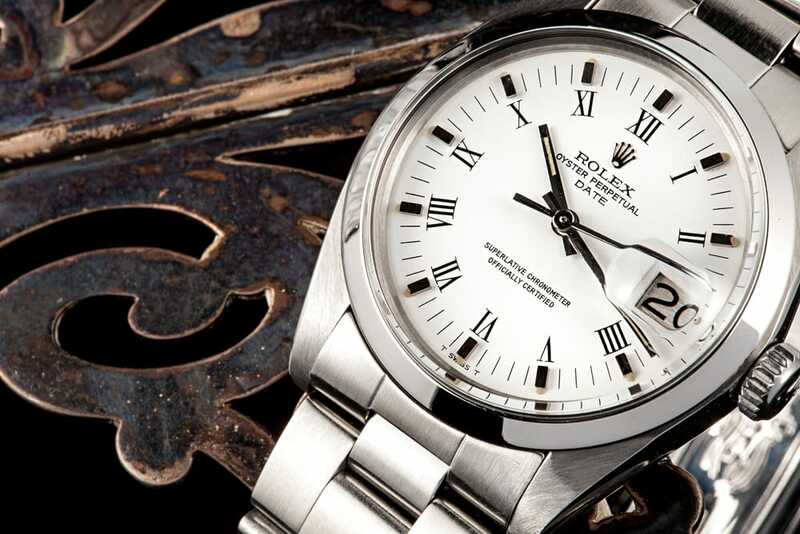 The Rolex Date 1500 is a popular Rolex watch for many reasons. Easy to wear, the Rolex Date 1500 is suitable for the office, gold course, or a black tie event. 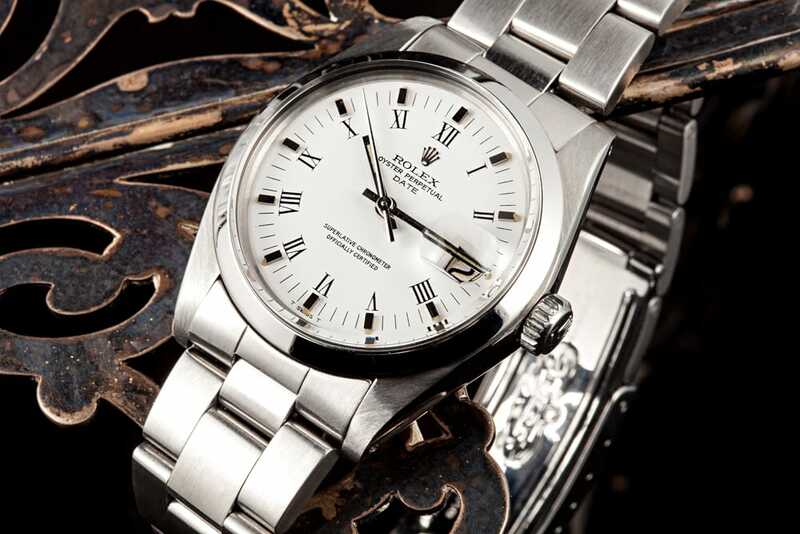 Because of its versatility, special editions of the Rolex Date 1500 were made, including one for the United Arab Emirates. These special editions feature an applied signature and symbol on the dial. The United Arab Emirates Date Ref 1500 also features applied sloping square numerals with luminous accents on the dial, as well as luminous hands with sweeping centre seconds. The Rolex Date 1500 is also a more affordable Rolex watch, valued at, depending on its production period and specific materials and editions, $2000 to $5000 USD. 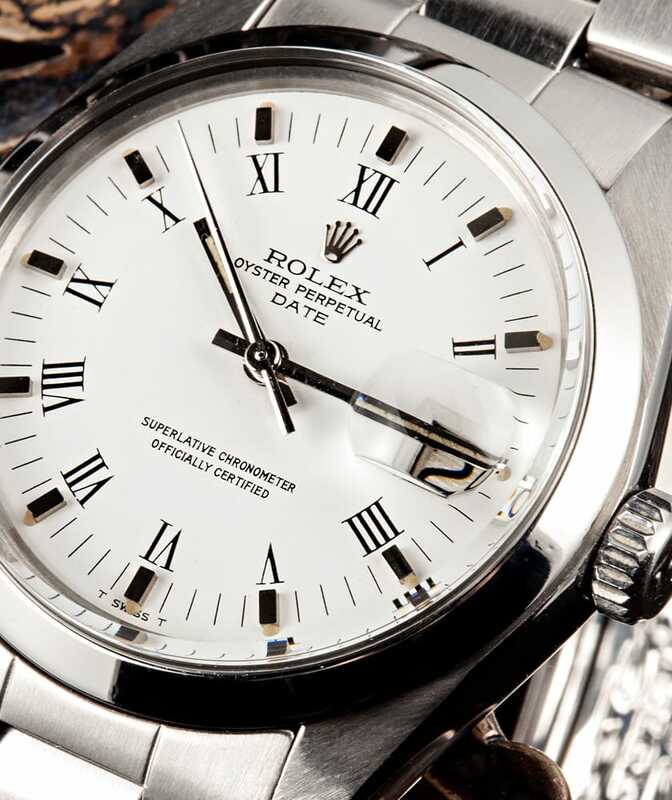 The Rolex Date 1500 is an excellent watch for the avid Rolex collector as well as the one-time watch buyer. With its versatility and sleek, modern design, the Rolex Date 1500 is an excellent vintage watch whose look and function has withstood the test of time.